Raddad Hamad describes how he and his brother were shot. The brother of a Palestinian man shot dead by an Israeli sniper last Friday spoke out against the killing in a video released by the Institute for Middle East Understanding on Thursday. Raddad Hamad, 22, and his brother Odeh, 27, were collecting scrap metal and plastic on Friday, December 20 when Odeh was shot in the head by Israeli forces, killing him. Israeli border fence when his brother was suddenly hit in the head by an Israeli bullet. Raddad was shot in the hand at the same time. Raddad stressed that the area in which they were shot is regularly frequented by Palestinians looking for bits of metal and plastic to sell. "We go everyday to collect plastic, to learn a living." "What crime did he commit for them to shoot him?" he added. Raddad said that after being shot he fell into a ditch nearby, and although he called out for his brother, Odeh did not respond. He said that he then crawled for a half hour even as Israeli forces continued shooting in his direction. He finally managed to crawl far enough and call an ambulance, but once the ambulance arrived Israeli forces would not allow it to cross to get his brother, Raddad said. "I said we have to get to him, he's dying. My brother is dying inside there. Odeh is dying." "They didn't let the ambulance enter." The Palestinian Center for Human Rights said in a statement following the incident, "Israeli forces used excessive force and directly opened fire at them, although it was clear that the two civilians were collecting steels and plastics from the landfill near the border fence." An Israeli army spokeswoman told Ma'an at the time that "Palestinians caused damage to the northern security fence" and "fired a mortar shell" into Israel, adding that they "rioted and hurled rocks at soldiers in the northern Gaza Strip, and neared the fence in an attempt to enter Israel." On the same day, four other Palestinians were also shot near the borders of the Gaza Strip, in a major escalation of violence against Palestinian civilians. On Tuesday, when a Palestinian sniper shot an Israeli Defense Ministry employee working at the border fence, Israel responded with air strikes against the Gaza Strip, killing 3-year-old, Hala Abu Sbeikha while she was playing in the yard of her home in al-Maghazi refugee camp, and injuring her mother and brother. Four other Gazans were also injured in a series of Israeli attacks on that day. B'Tselem considered Israeli tank's firing at the Abu Sbeikhah home unlawful , asking the military to launch an immediate investigation of the incident. B'Tselem held an initial inquiries into a tank fired three shells at the two-story home of the Abu Sbeikhah family. The shelling killed toddler Hala Abu Sbeikhah ,2years and 8 months old, while she was playing in the yard of the family home. Hala’s aunt and two young cousins sustained injuries. Abu Sbeikhah reported that the shelling was preceded by no warning. "Deliberate firing at a home occupied by civilians, without its inhabitants having been given any prior warning and without the military ensuring that the civilians have vacated the premises, as appears to be the case in this situation, is unlawful," B'Tselem reported. It called for an investigation that includes questioning those directly responsible for firing the shells as well as the senior commanders who ordered the attack. 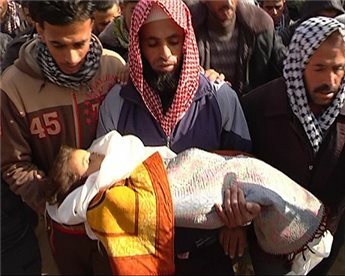 The Palestinian government spokeswoman, Issra al-Modallal condemned the recent escalation on the Gaza Strip by the Israeli occupation forces which lead to the killing of a three-year-old Palestinian girl from al-Maghazi refugee camp in the central Gaza Strip and wounded at least 14 others. "Today we express our deep sorrow for the death of Hala Abu Sabikha, who was living in peace with her family, unaware of the Israeli tank shells that destroyed her house, killed her and wounded all her family members,” said al-Modallal on a press conference held on Thursday at Hala’ house. She added that the Israeli occupation violates all human rights laws , in particular, the fourth Geneva Convention which provides the protection of women and children and their rights of living a normal life. She explained that the unjustified use of excessive force and illegal weapons by Israeli occupation in its aggressions against Gaza, proves nothing but that Israel is the enemy of life and peace. “We will not stand idly by regarding what is happening to our children. The international community must stop its support to the Israeli occupation and boycott this racist country. The killing of our children and the suffering of our people due to unjust blockade, is a form of collective punishment ; Hala’s blood is a new a crime against humanity,” she said. Al-Modallal stated that the European governments are involved in the crimes committed against Palestinian people as well, since they backed the Israeli occupation and provide it with advanced weapons. In her statement she stressed that Israel must not expect “to stop our resistance “as long as it continues its aggressive occupation to our lands. If the world fears on Israel from a homemade rocket, it shall put an end for its occupation and crimes against our people including: unjust blockade, arresting, unstopped invasions, Judaization of occupied Jerusalem, and settlement building in the West Bank. It must work for the establishment of our independent state and its capital Jerusalem. Al-Modallal called on the International community to continue mounting pressure on the occupying Israeli authorities and force them to immediately open all border crossings with the Gaza strip and put and to put an end to collective punishment policy . She added that the world must guarantee that Israeli occupation will respect and committed to the principles the international human rights law to prevent more crimes against Palestinian people. She demanded the parties of Fourth Geneva Convention to fulfill their obligations as stipulated in the first article of the agreement which requires Israeli military occupation to ensure the protection of the Palestinian civilians. Hundreds of mourners in Gaza, today, attended the funeral of the 3-year-old girl who was killed by Israeli forces, during an airstrike conducted the previous day. 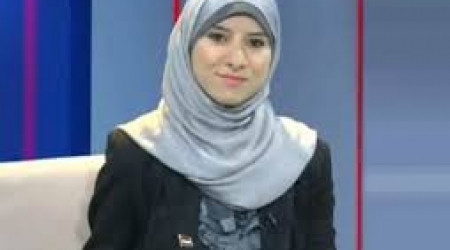 Hala Abu Sbeikha was buried in al-Maghazi refugee camp, in the central Gaza Strip, on Wednesday December 25, 2013, the Ma'an News Agency has reported. Hala's father carried the body of his daughter to his house, where family members bid her farewell, before bringing her to the camp cemetery amid hundreds of mourners. Her mother told Ma'an: "I was busy teaching my children while Hala was playing in the courtyard, and suddenly a missile came and I couldn't rescue her. "The area was quiet before the missile landed," she said. 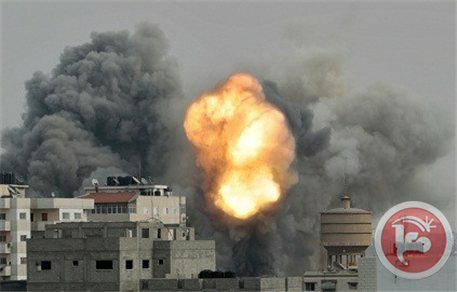 Israel airstrikes were launched across the Gaza Strip on Tuesday, killing Hala and injuring her mother and brother, following the shooting of an Israeli Civil Defense worker, by a sniper, at the border along the northern Gaza Strip, previously that afternoon. Brigades, the militant wing of the Islamic Jihad movement, between Khan Younis refugee camp and the city of Deir al-Balah and in the al-Atatra area of the northern Gaza Strip. It remains unclear if there were any casualties resulting from these strikes. Israeli warplanes launched on Tuesday afternoon several air raids on different areas in the Gaza Strip killing a baby girl and wounding several others. Three-year-old Hala Abu Sbaikha was killed while her mother and sister were injured in the ongoing aerial raids, medical sources said. 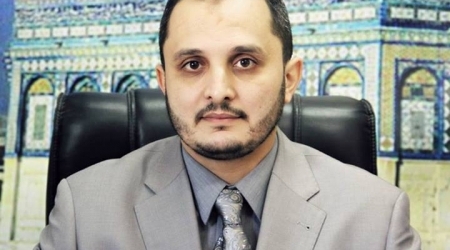 Dr. Ashraf Al-Qudra, the health ministry spokesman in Gaza, told the PIC reporter that the air raids so far killed a three-year-old baby girl and wounded seven others. According to earlier statistics, four citizens were injured by the Israeli shelling on east of Maghazi in central Gaza, while another citizen was seriously wounded after being shot by Israeli gunfire north of the town of Beit Lahiya in northern Gaza and was transferred to Shifa Hospital. 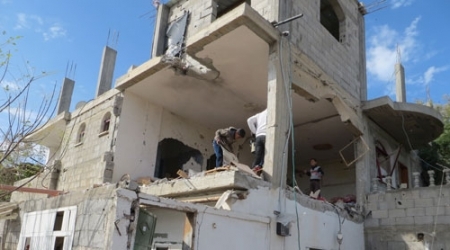 The Israeli airstrikes had reportedly hit two bases of the Qassam Brigades, the armed wing of Hamas, in Khan Younis and Bureij, while the IOF artillery targeted citizens in the neighborhood of Shaja'ia east of Gaza City. The attacks came hours after the death of an Israeli soldier who was shot in the heart by a Palestinian sniper near the border area east of Gaza. Palestinian sources said that a Palestinian sniper on Tuesday afternoon opened fire at an Israeli soldier near the border fence between the Gaza Strip and the 1948 occupied Palestinian land. They added that after the shooting, the occupation troops and military vehicles were deployed in the area and launched a search. Meanwhile, local sources said that IOF warplanes bombed a deserted land west of the city of Rafah in southern Gaza Strip. They said that the IOF artillery shelled citizens' lands east of Maghazi refugee camp in central Gaza and areas east of Gaza City. 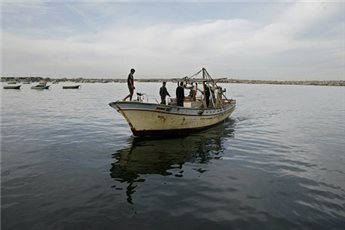 Israeli occupation army launched on Tuesday afternoon air raids on different areas of the Gaza Strip. ALRAY reporter said three-year-old girl has been killed and three others injured in an Israeli bombing east of Maghazi in central Gaza Strip. One Palestinian was reportedly wounded in an Israeli gunfire coming from the north of Beit Lahia town in northern Gaza Strip has died in Kamal Odwan Hospital. The airstrikes come not long after an Israeli citizen was reported shot dead by a Palestinain sniper near the east border of Gaza city. An Israeli army spokeswoman said the man was killed while doing "maintenance" work on the border fence.Israeli website Ynet reported that the Israeli man had been working on the border fence when he was shot, and was taken to Soroka University Medical Center in Beersheba. Earlier on Friday, Palestinian citizen O'dah Hamad, 22, was killed in an Israeli firing near the Beir Hanon (Erez) crossing in northern Gaza Strip. On the same day, Israeli forces stationed near the border fence east of Jabalia and Khan Younis fired afternoon towards Palestinian youths, injuring three. 4 Others, Including Child, injured in 2 Separate Incidents in the Northern Gaza Strip. On Friday, 20 December 2013, Israeli forces killed a Palestinian civilian and wounded his brother while working near the borderline with Israel, north of Beit Hanoun in the northern Gaza Strip. According to PCHR’s investigations, Israeli forces used excessive force and directly opened fire at them although it was clear that the two civilians were collecting steels and plastics from the landfill near the border fence. In another incident on the same day, Israeli forces wounded 3 other civilians, including a child, when they fired at civilians who threw stones at the military site on the borderline, east of Jabalia. Thus, during this year, the number of civilians killed by Israeli forces near the fence along the eastern and northern borders of the Gaza Strip has amounted to 4 while 49 others have been wounded, including 11 children. According to investigations conducted by PCHR, Israeli forces killed ‘Odah Jihad Hamad (27) and wounded his Brother, Raddad (22), while being near the border fence. According to the testimony given by Raddad Hamad to PCHR, at approximately 12:00 on Friday, 20 December 2013, Raddad went with his brother ‘Odah to the landfill near the border area, east of Beit Hanoun, in order to collect plastics and steels for livelihood. At approximately 15:30, when the area was very calm, Israeli forces stationed at the borderline opened fire at them without any prior warning. As a result, ‘Odah was wounded by a bullet to the head and fell onto the ground while Raddad was hiding in a low area. Raddad tried to reach his brother to rescue him, but Israeli forces opened fire at him to wound him by a bullet to the right hand. He immediately fled and managed to call the Palestine Red Crescent Society to send him an ambulance. The ambulance was delayed by Israeli forces till at approximately 16:15 when it obtained coordination through the International Committee of the Red Cross. The ambulance staff searched for ‘Odah to find him wounded and then transferred him to the Beit Hanoun Governmental Hospital. He was entered into the Intensive Care Unit, but a few minutes later, he was pronounced dead. According to investigations conducted by PCHR into the second incident, on Friday afternoon, following the Friday prayer, a group of civilians went to al-Shuhadaa’ cemetery, east of Jabalia in the northern Gaza Strip, and approached around 50-70 meters to the border fence with Israel. 3- Mohammed Hamoudah Ayyoub (23) from Jabalia refugee camp, a coal-supplier, sustained a bullet wound to the right leg. PCHR is deeply concerned over these crimes, which further prove the use of excessive force by Israeli forces against Palestinian civilians in disregard for the civilians’ lives. Therefore, PCHR calls upon the international community to take immediate and effective actions and reiterates its call for the High Contracting Parties to the 1949 Fourth Geneva Convention to fulfill their obligations under Article 1; i.e., to respect and to ensure respect for the Convention in all circumstances, and their obligation under Article 146 to prosecute persons alleged to commit grave breaches of the Fourth Geneva Convention. Bashir Habanin's house is full of the things he has made. As a professor of Décor at Khadoury Technical College in Tulkarem, West Bank, he was always making furniture to decorate the home he shared with his parents and siblings. On 7 November, after leaving his job at the college, he was late coming home to the family house in Merka village, Jenin. His father, Sami Habanin, was not worried or even surprised, for his son had many friends in Ramallah and often came home late after visiting them. However at around midnight, an Israeli military force appeared at the front door. For two hours they questioned the family and searched the home. The soldiers, according to Sami, also searched Bashir's room, opened his closet and suitcase and read some of his Arabic books. They asked for Bashir's whereabouts and what he had been wearing when he last left the house. At around 2 am the soldiers left without an explanation. An hour later, Sami's brothers informed the family that at 7 pm the previous day, Bashir had been killed. 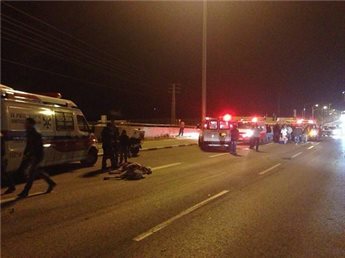 On the night of 7 November, Israeli soldiers shot him dead by the Za'tara checkpoint, south of Nablus city. 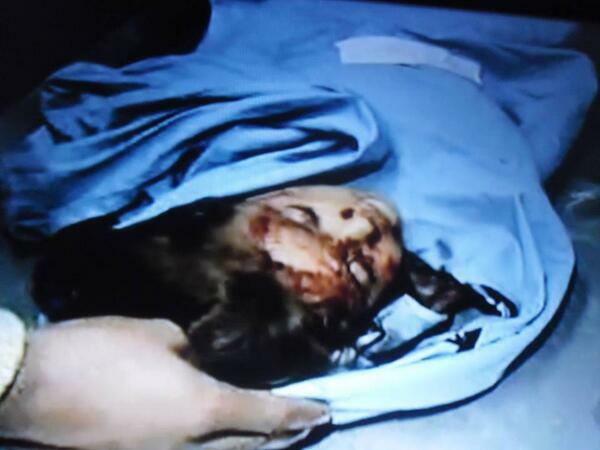 Sami was told that Bashir was killed while he was crossing the checkpoint heading to Ramallah. He had reportedly been shot seven or eight times, two shots in the chest area and the rest in the lower parts of his body. According to an IMF spokesperson: "On November 7 after nightfall, a Palestinian" terrorist" fired directly at civilians waiting at the Tapuach junction bus stop. The security personnel on the site responded to the shots, eliminating the threat. The flare gun the terrorist used was a lethal weapon used to attack civilians on the site." The spokesperson did not respond to questions regarding the fate of the soldier responsible. Bashir's family strongly deny the IMF claims. According to his father Sami: "Bashir was not the kind of man to do something like that; it was not in his nature. He was popular in his village. Sometimes I used to make fun of him, when he insisted after long hours at work to play sport. He was always playing football and seeing friends." He continued: "He loved education, and he loved his work. He was a religious man, always helping people and advising them to pray and fast. More than 1,000 people attended his funeral, everyone loved him." "We still have the furniture he used to make; he was very talented. His mother and sisters cannot believe he has gone," he lamented. Within the next 24 hours Anas Al-Atrash was also shot dead at a checkpoint. Anas and his brother Ismail were driving home to Hebron from Jericho, where the family owned a shoe shop. At the container checkpoint, near Bethlehem, Anas got out of the car. Shortly afterwards, Ismail heard two shots. The soldiers grabbed Ismail and tied his hands behind his back. From the ground, he could see his brother being taken away, but while Ismail was interrogated for approximately 40 minutes about his brother's background, the soldiers did not respond to any of his questions on Anas's condition. Later on, while still being interrogated, Ismail saw Israeli paramedics covering Anas's body with tin foil. It was then that he realised his brother had died. Bashir and Anas's deaths are to be added to the growing list of Palestinians who have been fatally shot by Israeli soldiers during the latest round of peace talks between Palestinian President Mahmoud Abbas and Israeli Prime Minister Benjamin Netanyahu. The talks resumed last summer, following a three-year hiatus. In the same month that Bashir and Anas were killed, Israeli forces shot dead three Palestinians who they claimed were militants. On 26 November, Mousa Mohammed Makhamra and Mohammed Fo'ad Nairoukh were killed whilst driving their car near Yatta, south of Hebron. A third victim was shot half an hour later. The IMF have claimed the three were all members of a Salafist jihadi group planning attacks targeting both Israel and the Palestinian Authority. The Palestinian Centre for Human Rights, however, released a report calling the killings "extra-judicial executions" and "grave breaches of the Fourth Geneva Convention". According to the report, the Israeli soldiers fired at the car without warning. Just two days later, an Israeli border police "volunteer" shot dead 24-year-old Antar Shalabi Mahmoud Al-Aqraa. Antar, who was from a village south of Nablus, was working illegally in Israel to save money for his wedding, only weeks away at the time. During a search for illegal workers, he was killed. According to the Israeli police spokesperson Micky Rosenfeld, the Palestinian worker had "attempted to stab" an Israeli border police volunteer, who shot the worker in response. "Antar has been working in Israel for several years, working day and night in order to save enough money for his wedding, which was scheduled for three weeks from now," his uncle told Ma'an News, highlighting the unlikelihood that his nephew would attempt to stab the volunteer, particularly just before his wedding. On 7 December, 14-year-old Wajih Wajdi al-Ramahi died after Israeli forces shot him in the back with live ammunition while he was standing outside a school in Al-Jalazoun refugee camp. Palestinian President Mahmoud Abbas condemned Wajih's shooting. "This was a cold-blooded assassination perpetrated by the occupation regime," he said in a statement. "The Government of Israel bears responsibility for this organised terror against innocent children ... This policy is destructive for the peace process." Within the last 24 hours, two Palestinians were killed during separate arrest raids. 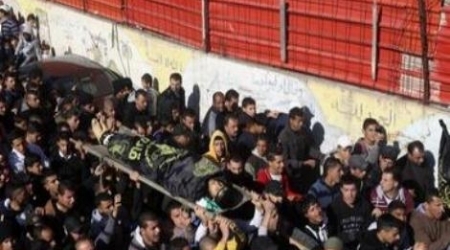 Late Wednesday, Israeli forces shot dead 23-year-old Nafeh Al-Saadi in the Jenin refugee camp. Shortly before dawn, they shot and killed 27-year-old Saleh Yassin, who was a Palestinian intelligence officer, in the West Bank town of Qalqilya. Around 20 Palestinians have been killed by Israel since the resumption of the peace talks. Thousands of Palestinians gathered in northern Gaza Saturday for the funeral of a man who was shot dead by Israeli forces the day before. 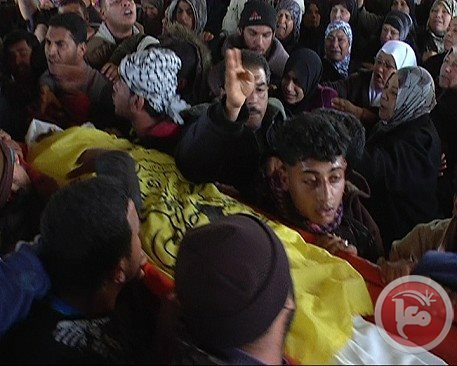 Various Palestinian political factions were present at the funeral of Odeh Jihad Hamad in Beit Hanoun, and some of the factions threatened to retaliate against Israel for killing the 29-year-old. An Islamic Jihad leader urged all Palestinian factions to respond boldly to the "ongoing Israeli assaults" against Palestinians in Gaza. Khalid al-Batsh said in a statement: "The Israeli occupation is responsible the escalation of killings in Gaza and we have to confront these violations." Hamad's brother told Ma'an Saturday that Hamad was a kilometer away from the border when Israeli soldiers shot him in the head. He said Israeli forces did not allow ambulances to the scene for an hour and a half after the shooting. The brother added that he himself was shot in the hand. Hamad's family said he was struggling financially and looking for a job before he was shot. An Israeli army statement said that "Palestinians caused damage to the northern security fence" and "fired a mortar shell" into Israel Friday, adding that they "rioted and hurled rocks at soldiers in the northern Gaza Strip, and neared the fence in an attempt to enter Israel." Soldiers responded by shooting one of them to death and hitting several others with live bullets, the statement said. In another incident Friday, two Palestinians were shot and injured east of Khan Younis, spokesman for the Gaza ministry of health Ashraf al-Qidra said. They were taken to the European hospital south of Khan Younis with moderate injuries, he added. Israeli forces also shot and injured two Palestinian men east of Jabaliya in the northern Gaza Strip earlier on Friday. One of them, 23-year-old Mohammad Ayoub, was shot near the eastern cemetery and transferred to Kamal Odwan hospital, medical officials said. The other injured Palestinian was not immediately identified. On Saturday Palestinian medical sources told Ma'an that 22-year-old Ismail Najjar was injured near Khan Younis when Israeli troops surprised farmers east of the refugee camp with gunshots. An Israeli army spokeswoman after the shooting quoted Lieutenant Colonel Peter Lerner as saying the army was "required to defend the civilians of the state of Israel." She said Najjar was a "terrorist" who tried to lay an explosive device near the border with Israel. 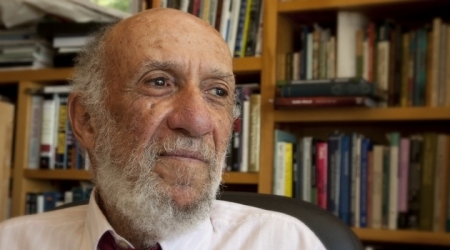 UN Special Rapporteur Richard Falk accused Israel of having 'genocidal intentions' against Palestinians. Richard Falk told Russia Today in an interview a few days ago that "When you target a group, an ethnic group and inflict this kind of punishment upon them, you are in effect nurturing a kind of criminal intention that is genocidal". Falk is himself of Jewish background. Canada condemned Falk's comments, calling on the UN Human Rights Council to fire him from his position. "Israeli occupation's escalation on the border with Gaza takes cover in the negotiations [with Palestinian Authority], and the Palestinian negotiator's disgraceful positions," Government spokesman said to ALRAY. Mr. Ihab al-Ghusain held the Israeli occupation responsible for the recent firing towards Palestinian youths while working on their land near the border. A Palestinian citizen was killed and six injured in three separate Israeli firings towards the east border of the Gaza Strip on Friday, adding to the Israeli violations of the cease-fire signed in the wake of November 2012 offensive. "The occupation wants to intimidate the Palestinians, particularly those residing along the border areas of Gaza, to permanently leave them in a state of tension and instability," Ghusain said. He warned against "going too far in carrying out aggressive acts and targeting of unarmed civilians, and against preventing them from earning their livelihood from farming,"
He condemned the international silence on the Israeli perpetrations against Palestine and the besieging of the Gaza Strip, in clear violations of International Humanitarian Law, and Geneva IIII Convention.